The “biggest publicly-voted video game awards ceremony on the planet” is back for its 35th year. The venue has been confirmed as the Bloomsbury Big Top in London. The date, November 17. 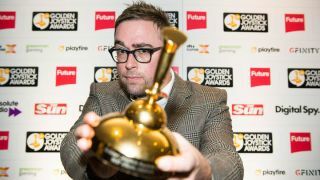 The host, the brilliant Danny Wallace. But the most important element of the night is yet to be decided, and that’s where you come in. Head over to our sister-publication GamesRadar and cast your votes now to ensure that the games that have had the biggest impact on you over the last year walk away with the accolades you think they deserve. Don’t worry if you’re not London based, the entire ceremony is going to be livestreamed on the night so you can watch as the makers of your game of choice take to the stage to thank you for your all-important vote.